After Masato is kicked out of his band, he ends up being a manager for an influential and unusual rock-star named Ebata. 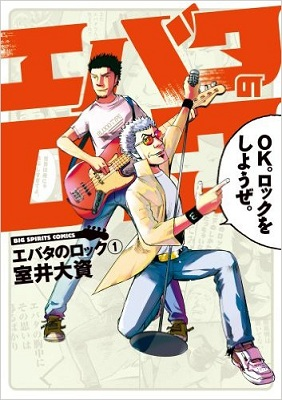 This rock-star gag manga tells his and Ebata's legendary story in chapters that take inspiration from different real-life rockers! The elven-eared Misery is our guide to the Outer Zone, a place where reality and dreams collide (similar to The Outer Limits or The Twilight Zone). Humans, and even animals, sometimes find themselves wandering into this place on the edge of reality. For example, the first story involves a manga assistant who buys a love doll that is more than it seems, and the second is about a poor abandoned cat who is trying to find a way to survive in a cold park. Each chapter focuses on a different encounter with the supernatural! I've never read a rockstar gag manga before, so Ebata no Rock is unusual in that sense. It's interesting to see the inspiration they take from Japanese and world musicians. Outer Zone seems very much like a Twilight Zone sort of series, with the guide Misery as the frame story to introduce and close out each episode (though she is also sometimes a character in the story). The stories are of varying types--for instance, the first chapter was more of a horror story, while the second was a sweet and sad fantasy. Ebata no Rock - I think if you like Detroit Metal City (since it's also a comedy manga about a rock group), then I think you would probably like this manga too. 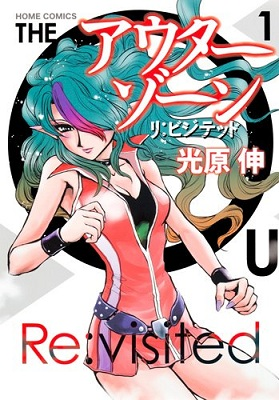 Outer Zone - Re:visited - If you are into the supernatural, then this may be more your style.